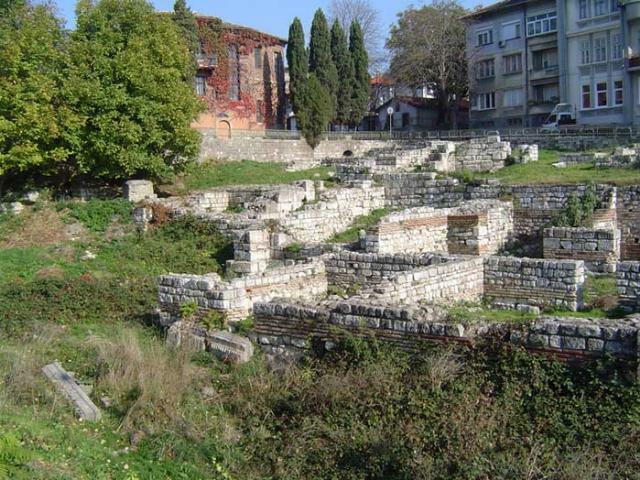 This is the greatest preserved edifice from Antiquity on the territory of Bulgaria nowadays. It occupies an area of 7200 sq.m. 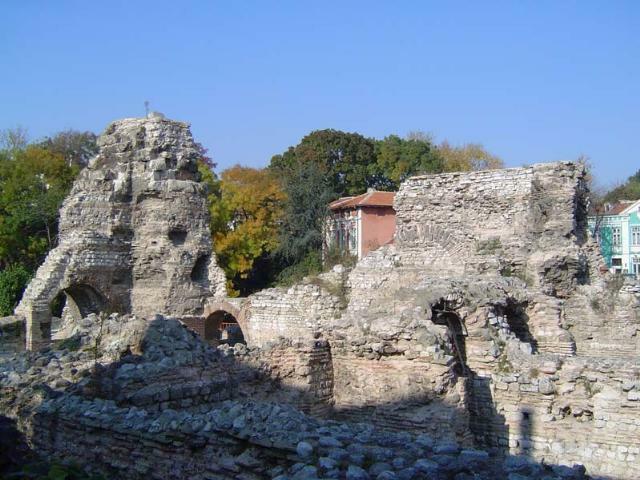 Ruins of high walls survived the destructive force of time. 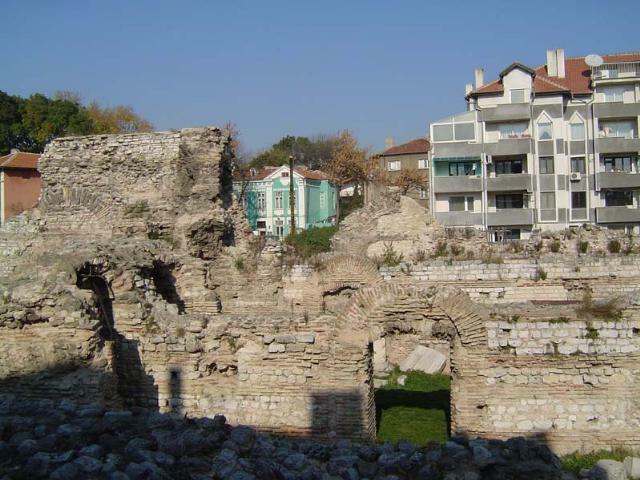 There are remainders of changing rooms, bathrooms for cool, warm and hot water bathing, games halls, rest halls, shops, etc. 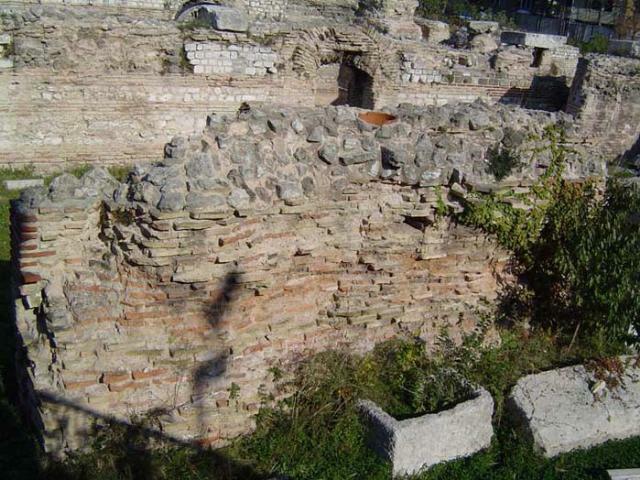 The preserved parts of the hypocaust also are attractive – a genuine invention for heating the vat construction. The whole building is symmetrical. In the great hall (palestra) measuring 60 by 14 m, the citizens discussed political issues, signed contracts, poets held recitals and orators spoke, there were discussions, news and gossip exchange.